But really, the number one thing about this journal is the award lists. The awards take up a majority of it. I'm not really an awards person. I don't read something because it won an award. I think there should be more room for the reader's own notes. Lots and lots of room. I do like the recommendations section because I'm forever forgetting books I want to read. Books on loan? Yeah, right. It goes out the door, I might see it in a few years. Better to kiss it goodbye. A borrowed list is good for keeping track of the books I get from family. The resources are a nice touch. I could see me using the literary terms section for reviews. As for style, I thought it a bit clunky and hard to pick up. It's heavvvy. It is cute though. If you are a fan of book awards, this would be a great resource. There is every award list you can think of and many, many more in here. I'm surprised at the number of awards there are! There's even a reading challenge based on the journal. So if you are a list person like Booking Mama, or Anna, it's a must. I love this journal and flip through some part of it almost every day, but like everything else, it'not for everyone. LOL! I definitely do love all of the lists! I don't know if my reading reflects that, but I love this book as a resource! I'm sorry that it didn't work out for you! I love lists, but I'm not sure if I need to buy a book for that? There are so many books already out there. I also like to make my own notes on what I mean to read in the future, but I have my own journal for that. This seems like one of those books to remember for birthdays though. And I don't think I'd dislike having it myself, I'd probably spend a lot of time leaving through it, but I'm still doubting whether these kinds of books are worth the money. 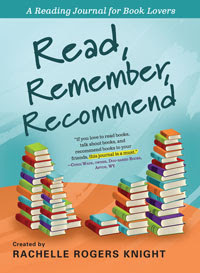 i'm a list girl myself and am gearing up to peruse this book for a review myself. :) i am forever making lists and they keep me organized. i can't wait to see what this journal has to offer. Definitely something to buy for my mom! !